Lightnin is the leading mixer provider around the world. Lightnin is the worldwide leading mixer provider with 90 years of experience and service.their wide array of mixers can cover any application – from fractional horsepower units primarily for laboratory use, to massive units generating several hundred horsepower mixing rock slurries or fermentation broth. Lightnin mixers use less horsepower than most competitors because their state-of-the-art impeller technology increases mixing efficiency with every turn of the mixer shaft. Whatever industry or application, we can help find the Lightnin mixer that best suits your needs.there are many mixer models, including top, side, or bottom entry, portable or static, and sanitary mixers for food and other industries. the 70 series reducers are right angle drives with spiral bevel gearing. With 7 distinct torque sizes, the 70 series mixers range from 1 hp to 100 hp, from 11 rpm to 280 rpm. Reducers are either double or triple reduction, with a change gear feature enabling the user to change mixer speed easily without the need to remove the gearbox from the top of the tank. 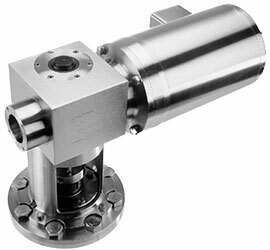 70 series mixers are available in three main configurations – open tank, stuffing box and mechanical seal.open tank mixers typically bolt to mounting beams that straddle the tank while the two closed tank options mount directly to either a pad flange or tank nozzle.A wide range of mechanical seals style are available, but the Lightnin style c double mechanical seal contains a bearing in the seal cartridge to minimize shaft deflection at the seal faces. Over 40,000 of the 70 series reducers have been placed in service, making this reducer the most specified, most used, most proven mixer technology in the world. Durable, versatile,cost-effective, the field proven Series 10 unit was designed with minimal maintenance in mind.The largest taper roller bearings in a mixer of this class help produce a L10 life of 100,000 hours or greater,the integrated “drywell” and casing design eliminate the risk of oil leakage over the tank or into the product.It comes in a range from 1 to 25 hp and can operate between 45 and 125 rpm.in thousands of installations and hundreds of applications worldwide,series 10 mixers deliver a superior combination of value and performance. The Lightnin Classic mixers have consistently evolved and improved through the years. These upgrades have provided our customers with improved mixer performance and enhanced process results. The new Enhanced Classic Line (ECL) portable mixer gives our customers an even stronger and more flexible product with output between 1/4 to 3HP and an option of either fixed or portable attachment options.Never before has there been a range of portable mixers offering so much quality and value. 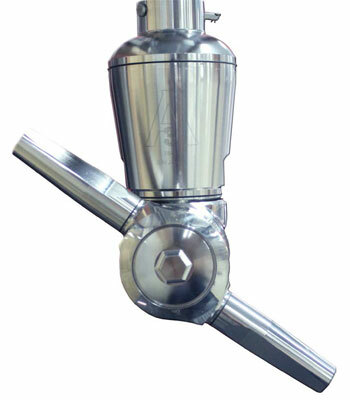 Sanstar is the brand name for Lightnin’s sanitary mixers. Available with either white USDA epoxy paint finish suitable for most applications or all-stainless exteriors suitable for clean room applications. High polish, USP Class VI elastomers, dry running mechanical seals, variable speed drives and controls in 316SS housings, material test reports, weld map / weld logs, and other special features and documentation are readily included when required. For every commercial mixing application, there’s a Lightnin impeller to match. Fluid mixing is a key operation in the design of many processes. Proper impeller selection allows for an optimized mixer selection by minimizing both power and torque. Minimizing power will lead to a lower annual cost to operate the mixer while minimizing torque will typically lead to a lower initial investment cost. Alfa Laval manufactures plate and frame heat exchangers that outperform the standard shell and tube designs. Around for more than a century, Alfa Laval serves industries worldwide. their heat exchangers are efficient, low-fouling, and easy to maintain – just a few of the reasons why they are chosen over the competition time and time again. in addition to a wide range of plate & frame styles, Alfa Laval manufactures spiral and all-welded units, such as the compabloc. Alfa Laval is a leading global supplier of products and solutions for heat transfer, separation and fluid handling through their key products – heat exchangers, separators, pumps and valves. 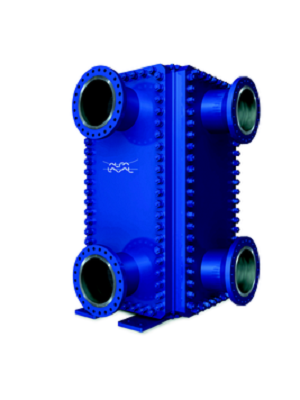 Alfa Laval is the largest manufacturer of plate heat exchanger solutions in the world. Alfa Laval plate heat exchangers use far less space than other shell and tube options. Plate exchangers can operate under a wide variety of conditions and with liquids that have a high tendency to fouling. Their tough construction ensures that maintenance costs will be lower than shell and tube, a huge plus when you’re already saving space. With a wide list of applications and options, such as sulphuric acid and gasket- less plate exchangers, an Alfa Laval plate heat exchanger might be just right for your process. Alfa Laval spiral heat exchangers are specifically what the name implies: a circular heat exchanger with two concentric spiral channels, one for each fluid. This design promotes optimum heat transfer and flow conditions while keeping the unit small. Heat exchangers require one channel per fluid, which has a benefit in the fact that customization for various types and volumes of media is possible. With lower installation costs coming from the small mounting area and overall size, and easy access to the inside of the heat exchanger, very helpful with fluids that have high fouling rates, get in touch with us today to see if a spiral heat exchanger is right for you. Typical applications include both liquid to liquid heating,cooling,or heat recovery in which one or both of the fluids could cause fouling,and also includes vapor to liquid condensing,especially at low-pressure and/or high-volume flow. Alfa Laval’s compablocs are quite a unique concept. 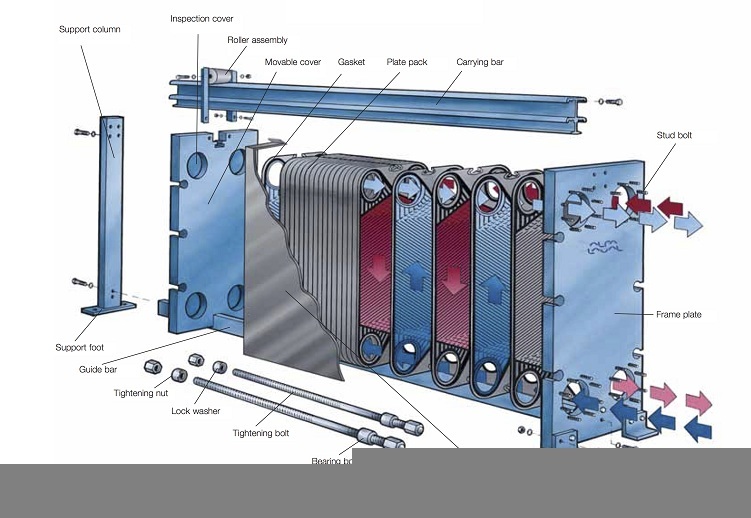 The compabloc is most likely the most compact and efficient heat exchanger in the world. With its ability to withstand aggressive media, high thermal efficiency, and ability to work at high temperatures and pressures this “magic box” might just be what you’re looking for. Compabloc combines the temperature and pressure durability of a shell-and-tube heat exchanger with the exceptional thermal efficiency of a traditional plate heat exchanger. The compact design requires smaller floor space and substantially reduces investment costs and can help minimize the cost of maintaining your compabloc, all without sacrificing reliability or safety. Typical uses are liquid to liquid applications with or without temperature cross, atmospherical or vacuum condensation, solvent recovery through a special double pass condenser,reboiling, and gas cooling,heating,or drying. 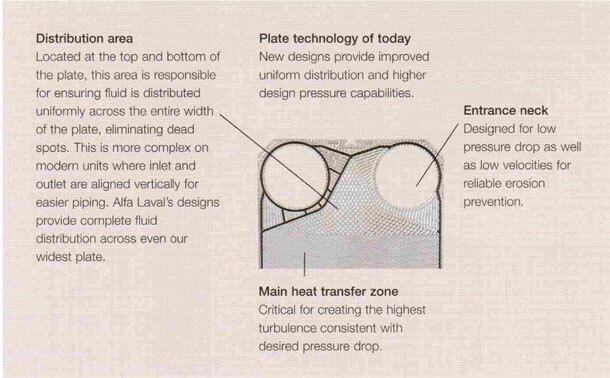 Today,alfa laval offers the most advanced and highest performance plate heat exchangers by continually refining the design with new patented technological improvements.plates that go into alfa laval exchangers are rigorously tested to ensure quality and performance. plate heat exchangers are designed to optimize heat transfer, because the corrugated plates provide by far the greatest surface area through which the heat can be drawn from one gas or liquid to the other. the design of the channels also ensures maximum turbulence as each fluid passes through. this results in maximum efficiency in transferring heat from one medium to the other. Sweco, the separation company that’s been around for 50 years, is ready to provide separation solutions in any industry. with a wide array of separators ranging from completely sealed and sanitary units, to Quickchange separators to speed up screen changes to increase production, sweco products can provide innovations that make separation simple. sweco round separators are attractive to industries because of their small size (some as small as 15 in height) but high processing volume and speed. sweco round separators have the ability to do up to five separations simultaneously. sweco also offers a wide variety of aftermarket parts designed to work exactly with the specifications of original equipment, making most products easy to modify to custom-fit any application. Be sure to specify authentic sweco aftermarket parts (asap). Sweco round separators come in many different configurations geared toward specific processes,and have the versatility to be useful in almost any industry.add to this that a separator can easily be customized for your specific needs,and with the development of an extensive number of options and accessories the separator you purchase can be optimized for your needs. Sweco produces its rectangular separators with the full-flow system which makes them a top choice for a wide variety of applications.the first option,linear motion (lm) is most used for dewatering large volumes of heavy solids on meshes ranging from coarse to medium.Balanced elliptical motion (Bem),the second option,applies well to the fine mesh dewatering of slurries with minimal oversize solids.examples of these slurries include clay slip and pigments.Bem separators can run at high rates through screens as fine as 400 mesh.The third option,universal motion (um) combines all three motions into one powerful machine that gives the user the ability to dial in a very accurate motion for each individual application. Another separation solution to further optimize your facilities’ production,the gyramax gyratory sifter maximizes productivity,creates a uniform sifting motion across an entire screen deck to maximize efficiency,and enables maximum recovery of clean,acceptable product. High capacity wet or dry scalping in a compact,low headroom design.Dual motors mounted on opposite sides of the low profile allow unrestricted flow of material and create the 3-d motion that allows discharge of oversize material,keeping the screen clear for maximum product flow.Its low headroom requirement (as little as 15 inches) and straight flow design allow the low profile to fit easily into existing product lines. upon their introduction, supertaut plus screens were a breakthrough in screen technology. with the continually improving screen design and our commitment to service, we can handle your most challenging screening requirements. the patented adhesive, developed by sweco engineers, is the key to the success of the supertaut plus screen. this pure white adherent combines fda approved chemistry with the durability to withstand caustic and steam cleaning and severe environments. the adhesive holds the type 316 stainless steel wire cloth firmly in place. The foundation of every supertaut plus screen is the tension-support ring. these lightweight, disposable rings are rolled from stainless steel and welded for maximum strength. uniform screen tension built into every supertaut plus screen yields higher throughputs and longer screen life. sweco’s proprietary tension specifications result in greater consistency from screen to screen. each supertaut plus comes with a pre- attached fda food-grade- approved white gasket to speed screen changes. Sweco magnum screens were designed for increased strength. the patented magnum screen has shown significantly improved screen life over traditional designs. customers have experienced increased screen life from 1.5 to 5 times with no catastrophic failures. advanced mesh construction divides the screen into discrete zones, preventing propagation of most tears. the laminated mesh also enhances flow rates by stiffening the screen surface, which improves conveying. available in 18 to 60 inch round and all sizes of rectangular and white water filter screens, the magnum utilizes standard sweco screen frames and fda approved materials. Fusion screens are a revolutionary screen developed from a new technology that “fuses” the screen mesh to the tension ring. fusion screens have been designed to eliminate the use of adhesive, epoxy or silicone in screen manufacturing resulting in a unitary construction that minimizes the potential for contamination. added benefits include precise repeatable tensioning and engineered uniform integral strain relief created from the complex robotic manufacturing process. Watson Marlow is the world leader in peristaltic pumps. Watson Marlow pumps require less maintenance than similar style pumps and are more sanitary than impeller pumps or diaphragm pumps. In most cases, troubleshooting a problem is accomplished by simply replacing the tubing. 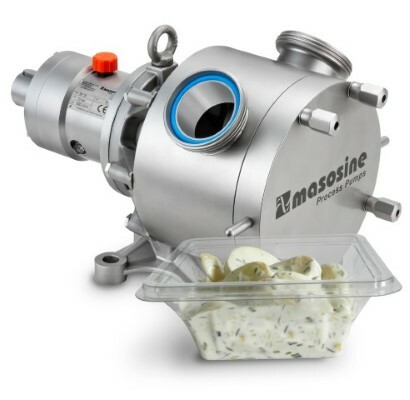 The process media remains completely sanitary because it travels between two points without ever touching the pump’s internals or other possible contaminants. Watson Marlow has pumps that can operate at turndown ratios in excess of 2000:1, such as the most popular 530 series pump, providing precise control of the flow, making watson marlow pumps suitable for biomedical cultures to cement slurries. the pumps are backed by five year warranties for the most popular 530/630/720 series and over fifty years of experience in the pumping industry. Watson-marlow’s tough industrial cased pumps are a team,and they’re on your side.The 530,630 and 720,using continuous tubing or elements,cover flows from 0.00015 gpd to 17.6 gpm,with high accuracy and industrial compatibility.The 720 is a powerful pump which can be fitted with one or two pumpheads for high flow metering or transfer and handles pressures up to 30 psi. 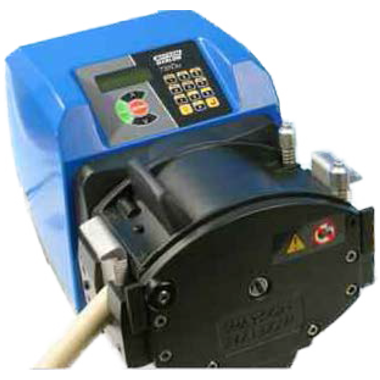 the versatile,medium-flow 620 is available with two rollers,for maximum throughput,or four rollers,for minimum pulsation and handles pressures up to 60 psi.With its eight tubing sizes,the low flow 530 is a metering and chemical injection workhorse.The 530 also offers special pumping options,including multi-channel and low-pulse dispensing and handles pressures up to 100 psi. 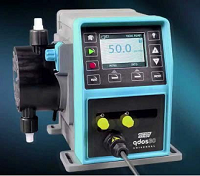 The Qdos peristaltic metering is a range of no-valve metering pumps.A diaphragm metering pump often requires a range of high maintenance ancillary items to function.Simple,drop-in instillation eliminates ancillary equipment while ensuring accurate,linear and repeatable metering across all process conditions.Qdos pumps can be used in a variety of applications, from industrial cooling and mineral processing to disinfection of drinking water and ph adjustments. The Flexicon range of filling and capping equipment provides solutions with the precision, efficiency and flexibility that customers have come to know and trust from Watson Marlow. Flexicon offers a range of products that grow with you, from stand-alone units for hand filling, through semi-automatic systems, to fully automatic filling, stoppering and capping machines. The fully automatic systems are customized to fit any glass vial, plastic bottle, test tube, eye-dropper or non- self standing microtube. Flexicon’s equipment is reliable, easy to operate and requires minimal maintenance at long intervals. Bredel is the world’s leading manufacturer of peristaltic pumps with the largest range of pumps and pump element materials. The unique direct-couple design of Bredel heavy duty hose pumps combines the small footprint of close-coupled pumps with the reliability and ease of use of long-coupled pumps. The pumps use heavy duty bearings within the pump rotor, eliminating overhung load. Ultra-compact high torque gearing aligns directly to the pump housing and is fully protected by an innovative buffer zone. With operating pressures up to 232 psi and flow rates up to approximately 475 gpm, Bredel hose pumps save time and money by successfully handling the toughest applications in a broad range of industries. The apex range is the optimized pump of choice for dosing, metering and transfer duties between 0.01 gallons and 5.28 gallons per minute. Robust, reliable, and flexible, Apex sets the new standard for lowering life cycle cost in tough industrial applications. As the world’s leading supplier of peristaltic pumps for the biopharmaceutical industry, we understand that we must provide a pumping package which meets your need for cleanliness, ease of use, control, tube life and reliability. we have brought this understanding to Watson Marlow tubing. The tube at the heart of your pump must provide the greatest purity and the most reliable and consistent performance possible – precious qualities we could not purchase. So we made our own tubing. This development makes us the only pump specialist to manufacture its own tube, and the only tube manufacturer to make its own pumps. Watson Marlow is the only peristaltic pump manufacturer to have its own tubing extrusion plant, giving a short supply chain and total quality. Tubing is available in 10 different materials and 50 different sizes, from 0.13mm to 40mm. SIHI has been specializing in liquid ring vacuum pumps and compressors for over 80 years. Sihi pumps, now a division of Flowserve, has been a leading manufacturer of innovative technologies for liquid ring vacuum pumps and compressors. Other pumps include dry running vacuum pump, hot oil pumps, and side channel pumps and multistage liquid pumps. Any of these pumps can be supplied as a stand alone item or part of custom built system. We can provide unique and reliable solutions for your industry. Sihi liquid ring vacuum pumps provide a huge range of fluid handling capabilities with a range up to 1100 gpm. their pumps can produce pressure,with the addition of auxiliary equipment,as low as 1 torr or even less. 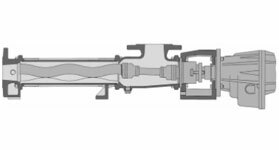 the pumps’ shafts are made with stainless steel,and most pumps have two or more exterior bearings,all increasing durability and reliability. sihi uses common parts wherever possible to offer a wide range of capabilities from basically the same design, all this is geared to provide the customer with the best fit for their application. In a round pump body,a shaft-mounted impeller is positioned at a point eccentric to the centerline of the pump body.the centrifugal action of the rotating impeller forces the service liquid introduced via channel towards the periphery of the pump body forming the liquid ring. Simple operation and long-term reliability are at the centre of the sihidry design.Completely free from oil lubrication, no mechanical seals,and wide internal clearances,underpin the robust nature of this completely dry running vacuum pump. sihidry can adopt to rapidly changing process conditions which could include explosive,corrosive,and/or thermally sensitive media.sihidry is a vertically oriented and self draining vacuum pump with no mechanical shaft seals.It is an ideal choice for chemically related processes where there is a high possibility of liquids or solids carry-over. this award winning solution can accommodate corrosive gases and vapours,and has superior resistance to heat-accelerated deposition. 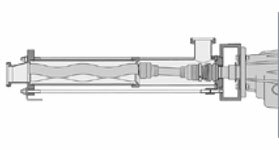 Seepex has been providing progressive cavity pumps for more than 30 years. 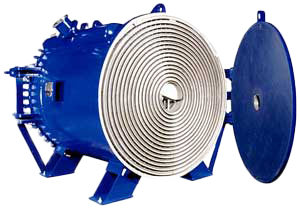 seepex develops, manufactures and distributes progressive cavity and pumps for the pulsation-free transfer of viscous, aggressive and abrasive products. their 6l-geometry design is more efficient than conventional designs and can increase equipment life by 30-50%. 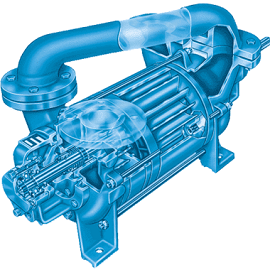 seepex pumps are used in over 50,000 applications worldwide. popular options include the sct – smart conveying technology with integrated tensioning device, tse dry running protection, and a duktil-chromium finish that promote longevity of the pump. Seepex MD range pumps are compact units with a high metering accuracy.the stainless steel or synthetic material casings are highly compatible with chemically corrosive media.These pumps are suitable for low to highly viscous media, as well as shear-sensitive and chemically aggressive media. 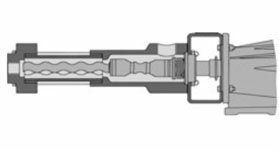 in shaft connection between drive and the rotating unit simplifies the replacement of rotating wearing parts and the shaft sealing, thereby making the Bn range very service friendly. Easy and quick-cleaning pumps for use in industries where hygiene is not only a priority,but mandatory.Seepex pumps of design group CS are designed for universal use in the food,pharmaceutical,cosmetic and chemical industries.These pumps meet the highest standards for gentle handling,sanitation,cleaning and sterilization in place.The pumps of group CS are authorized by the 3-a sanitary symbol council. Seepex rotors and stators meet the highest quality requirements and guarantee high efficiency.less wear and good corrosion resistance minimize operating costs and ensure a long service life. they follow certain prerequisites: optimized surfaces,high-precision geometries,customizable materials,and application-specific sizing and coating. founded in 1976, they have supplied a wide variety of tanks for industrial, chemical, pulp & paper, and water & wastewater applications. their fiberglass reinforced plastic (frp) tanks are of superior quality and can be custom manufactured to customer specifications. 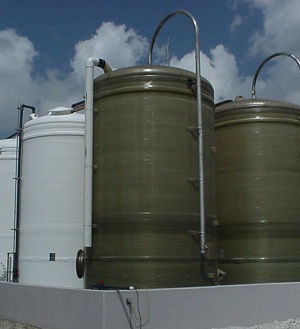 Plas-Tanks is the only frp tank manufacturer that is iso 9001 approved. all tanks are supplied with a 3 year warranty. in the fall of 2006, plas-tanks was certified to manufacturer asme rtp-1 pressure vessels. the Bryneer is a self-contained system that combines salt storage and a downflow brine system in one tank. it provides a maintenance free way to make a brine solution. other services by plas-tanks include air and fume scrubbers for industrial cleaning and filtering. they do inspection and repairs on-site and will repair a product regardless of its manufacturer. Plas-tanks is the only frp tank manufacturer that is iso 9001 approved.all tanks are supplied with a 3-year warranty. in the fall of 2006, plas-tanks was certified to manufacturer asme rtp-1 pressure vessels.an exclusive two year warranty backs plas-tanks industries’ iso 9001 quality standards and their 30+ years of experience. The Bryneer,plas-tanks’ own brine system, is the most efficient system available today.The Bryneer bulk salt storage and brinemaker is the first brining system that is completely designed and manufactured by a fiberglass reinforced plastic fabricator.The Bryneer is a self-contained tank that combines salt storage and a down flow brine system in one tank. it provides a maintenance free way to make a brine solution.Bryneer tanks are manufactured to current astm standards, using usda-approved resins and are conditioned to meet food grade sanitary guidelines. Eaton is a global technology leader in filtration solutions. eaton filtration provides a wide variety of strainers and filters to remove large solids or particles as fine as 1 micron. from automatic and manual strainers, tubular filters, multi-tube bag houses and cartridge filters – eaton filtration has a filter just right for the process application. Buckeye fabricating company is a recognized industry leader for high quality engineering and production of custom asme pressure vessels and process tanks. its state-of-the-art facility is capable of turning even your most specific job requirements into a reality. Buckeye fabricating company’s goal is to be recognized for its unparalleled quality, speed, technical capability and reliability in producing the highest quality asme pressure vessels, stainless steel tanks, storage tanks and process tanks available on the market. count on us to provide you with unmatched experience and exceptional value. For more information on Buckeye visit the Buckeye website. scott turbon mixer has been designing and manufacturing stainless steel mixers and mixing systems for over 30 years. they specialize in applications for the food, pharmaceutical, cosmetic, personal care and chemical industries. their mixers and systems are designed to blend, disperse, de-agglomerate, hydrate, mill, emulsify, and/or homogenize. all of their mixers, tanks, and ul approved controls are designed and manufactured in the usa at our 25,000 square foot manufacturing facility in southern california. i encourage you to visit us to see our capabilities and the equipment we build. For more information on scott turbon visit the Scott Turbon website. lightnin is the worldwide leading mixer provider with 90 years of experience and service.their wide array of mixers can cover any application – from fractional horsepower units primarily for laboratory use, to massive units generating several hundred horsepower mixing rock slurries or fermentation broth.lightnin mixers use less horsepower than most competitors because their state-of-the-art impeller technology increases mixing efficiency with every turn of the mixer shaft. With 7 distinct torque sizes, the 70 series mixers range from 1hp to 100hp, from 11rpm to 280rpm.reducers are either double or triple reduction, with a change gear feature enabling the user to change mixer speed easily without the need to remove the gearbox from the top of the tank. Durable, versatile,cost-effective, the field proven series 10 unit was designed with minimal maintenance in mind.The largest taper roller bearings in a mixer of this class help produce a B10 life of 100,000 hours or greater,the integrated “drywell” and casing design eliminate the risk of oil leakage over the tank or into the product.It comes in a range from 1 to 25hp and can operate between 45 and 125rpm.in thousands of installations and hundreds of applications worldwide,series 10 mixers deliver a superior combination of value and performance. Sanstar is the brand name for lightnin’s sanitary mixers.A vailable with either white USDA epoxy paint finish suitable for most applications or all-stainless exteriors suitable for clean room applications.high polish,USP class vi elastomers,dry running mechanicals seals, variable speed drives and controls in 316 ss housings,material test reports,weld map / weld logs, and other special features and documentation are readily included when required. for every commercial mixing application,there’s a lightnin impeller to match. 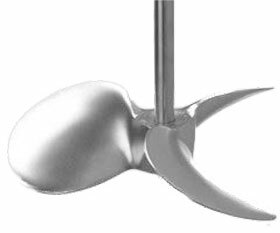 fluid mixing is a key operation in the design of many processes.proper impeller selection allows for an optimized mixer selection by minimizing both power and torque.minimizing power will lead to a lower annual cost to operate the mixer while minimizing torque will typically lead to a lower initial investment cost. alfa laval spiral heat exchangers are specifically what the name implies:a circular heat exchanger with two concentric spiral channels, one for each fluid. this design promotes optimum heat transfer and flow conditions while keeping the unit small. compabloc combines the temperature and pressure durability of a shell-and-tube heat exchanger with the exceptional thermal efficiency of a traditional plate heat exchanger.The compact design requires smaller floor space and substantially reduces investment costs and can help minimize the cost of maintaining your compabloc,all without sacrificing reliability or safety. Typical uses are liquid to liquid applications with or without temperature cross,atmospherical or vacuum condensation, solvent recovery through a special double pass condenser,reboiling, and gas cooling,heating,or drying. watson Marlow pumps require less maintenance than similar style pumps and are more sanitary than impeller pumps or diaphragm pumps. in most cases, troubleshooting a problem is accomplished by simply replacing the tubing. the process media remains completely sanitary because it travels between two points without ever touching the pump’s parts or other possible contaminants. watson Marlow has pumps that can operate at turndown ratios in excess of 2000:1, such as the most popular 520 series pump, providing precise control of the flow, making watson marlow pumps suitable for biomedical cultures to cement slurries. the pumps are backed by five year warranties for the most popular 520/620/720 series and over fifty years of experience in the pumping industry. Watson-marlow’s tough industrial cased pumps are a team,and they’re on your side.The 520,620 and 720,using continuous tubing or elements,cover flows from 0.00015 gpd to 17.6 gpm,with high accuracy and industrial compatibility.The 720 is a powerful pump which can be fitted with one or two pumpheads for high flow metering or transfer and handles pressures up to 30 psi. the versatile,medium-flow 620 is available with two rollers,for maximum throughput,or four rollers,for minimum pulsation and handles pressures up to 60 psi.With its eight tubing sizes,the low flow 520 is a metering and chemical injection workhorse.The 520 also offers special pumping options,including multi-channel and low-pulse dispensing and handles pressures up to 100 psi. The flexicon range of filling and capping equipment provides solutions with the precision,efficiency and flexibility that customers have come to know and trust from watson-marlow.Flexicon offers a range of products that grow with you,from stand-alone units for hand filling,through semi-automatic systems,to fully automatic filling,stoppering and capping machines.The fully automatic systems are customized to fit any glass vial,plastic bottle, test tube, eye-dropper or non- self standing microtube.flexicon’s equipment is reliable,easy to operate and requires minimal maintenance at long intervals. Bredel is the world’s leading manufacturer of peristaltic pumps with the largest range of pumps and pump element materials.the unique direct-couple design of Bredel heavy duty hose pumps combines the small footprint of close-coupled pumps with the reliability and ease of use of long-coupled pumps.The pumps use heavy duty bearings within the pump rotor, eliminating overhung load. the ultra-compact high torque gearing aligns directly to the pump housing and is fully protected by an innovative buffer zone.with operating pressures up to 232 psi and flow rates up to approximately 475 gpm, Bredel hose pumps save time and money by successfully handling the toughest applications in a broad range of industries. As the world’s leading supplier of peristaltic pumps for the biopharmaceutical industry, we understand that we must provide a pumping package which meets your need for cleanliness, ease of use, control, tube life and reliability. we have brought this understanding to watson-marlow tubing. this development makes us the only pump specialist to manufacture its own tube, and the only tube manufacturer to make its own pumps watson-marlow is the only peristaltic pump manufacturer to have its own tubing extrusion plant,giving a short supply chain and total quality.Tubing is available in 10 different materials and 50 different sizes, from 0.13mm to 40mm. Gamajet’s rotary impingement tank cleaning machines combine pressure and flow to create high impact cleaning jets. cleaning occurs at the point in which the concentrated stream impacts the surface. it is this impact and the tangential force that radiates from that point which blasts contaminants from the surface, scouring the tank interior. in conjunction with this impact, the gamajet is engineered to rotate in a precise, repeatable and reliable, 360-degree pattern. this full-coverage, global indexing pattern ensures the entire tank interior is cleaned, every time. Our rotary impingement tank cleaning machines combine pressure and flow to create high impact cleaning jets. cleaning occurs at the point in which the concentrated stream impacts the surface.it is this impact and the tangential force that radiates from that point which blasts contaminants from the surface, scouring the tank interior. in conjunction with this impact,the gamajet is engineered to rotate in a precise, repeatable and reliable, 360-degree pattern. this full-coverage, global indexing pattern ensures the entire tank interior is cleaned, every time.this combination of impact in a controlled indexing pattern results in an economic ideal, because impact is a one time investment; chemicals, temperature and time are continual, never-ending expenditures.with a short roi, our impingement cleaning is guaranteed to positively impact the ultimate scorecard, your bottom line. With the gamajet toteBlast station you can now handle your tote and iBc cleaning in house. 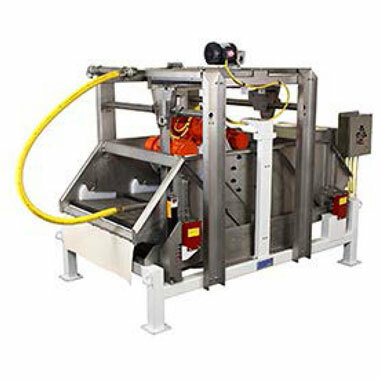 this complete all-in-one tote cleaning system utilizes gamajet’s patented rotary impingement technology designed to blast residue from the tank interior,in a precise, global indexing pattern.gamajet’s 100% guaranteed cleaning technology ensures the entire tote interior is thoroughly cleaned in the most efficient manner,utilizing the least amount of resources including: time, energy,chemicals and water. the toteBlast station comes equipped with everything you need to set up a tote cleaning system. the simplicity in design and the affordability, coupled with the most durable and effective technology makes this the ideal tote cleaning system for anY application, industrial or sanitary. Cleaning processing tanks with center obstructions can be tricky, costly, and time-consuming. however, with the new alfa laval Bladeclean, it doesn’t have to be. this tank cleaning device is perfect for any size tank with agitator blades. incorporating this device into your tank cleaning process will enable your company to eliminate confined space entry and drastically reduce time spent cleaning, boosting overall tank productivity. Prior to cleaning, the alfa laval Bladeclean is inserted into the bottom of the tank and is activated at 2 bar (30 psi) and higher, causing a cone of water jets up to 7.6 m (25’) to spray upward at the underside of a tank’s agitator blades. reaching up to 4.5 kg (10 lbs.) of force, the water jets clean the agitator blades of product residue. paired with your favorite alfa laval gamajet or toftejorg rotary impingement tank cleaning device, your clean-in-place process will be fast and effective. snyder is a manufacturer of a variety of polyethylene tanks including: industrial, agricultural, vertical tanks (both cone andflat bottom), horizontal tanks, septic and water, portable, double wall, and open top tanks. they offer custom molding when a customer’s needs aren’t already a standard production tank. their tanks are available as fda compliant and can store materials up to 140° fahrenheit. 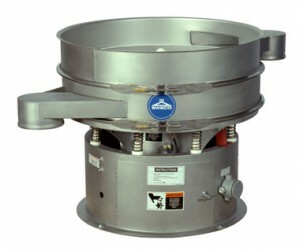 LifTech MixerLifters are used to raise and lower heavy clamp or fix mounted fluid mixers. typical applications include paints, chemicals, ink, food, pharmaceutical, water & wastewater, and many other fluid mixing applications. mixerlifters have been serving the fluid handling industry for over 25 years, specializing in the safe and efficient handling of portable mixers and the technology to raise and lower them. special designs are 90% of thier business, even though they have established standards. they have the technology to partner with you on any custom requirements to fit your needs. For more information on liftech visit the Liftech website. magnatex provides high quality pumps that can perform excellently under the conditions of your industry. their wide range can cover needs in paper, food, pharmaceutical, wastewater treatment, and textile industries. magnatex also provides excellent service including on-site setup engineering, training, and service centers ready to repair any problems you may encounter. magnatex is “eliminating mechanical seals all over the world” with their pumps, which perform better, leak less, and require less maintenance time than pumps equipped with mechanical seals. their magnetically driven pumps are an excellent alternative when leaks are not an option. Our office is located in Carmel, on the north side of Indianapolis. Our sales engineers support customers throughout Indiana except for Lake, Porter and Laporte counties.